St. John's Church in Riga is the oldest acting church in the whole Latvia and the oldest church in Riga. You are welcome to attend sacred services in the same venues where they have been held from Anno Domini 1209, as well as to look around in awe to see the beautiful mix of Gothics and Classicism, Northern Renesanse and hints of Barocco, including the wonderful ribbed High Gothic ceiling, the only one such in Baltic States. 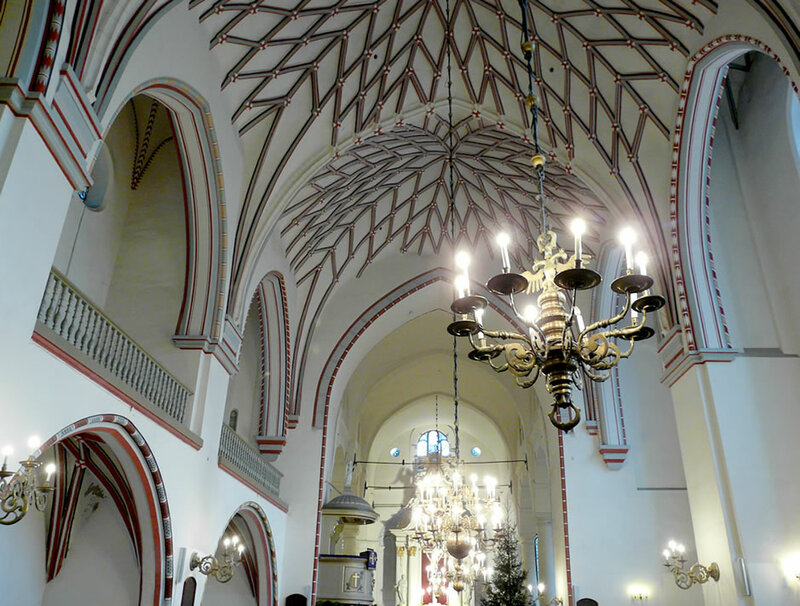 Then, St John's church is well known by Rigans, guests of the city and Latvian music lovers for it's acoustic qualities and wonderful esthetics of historical halls. 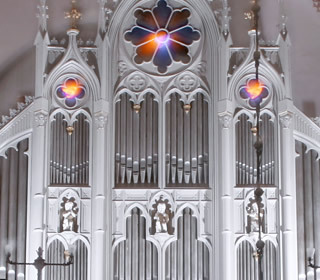 St John's Church is beloved concert space in Riga with famed sound qualities, broadly used for important concert events and classic music recording, as well as for concerts of visiting foreign choirs and groups. Quite often it is named ''the best sounding church in Riga''. 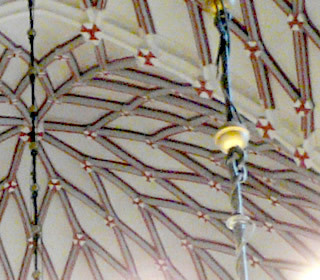 These qualities explain the popularity of the Church among concert organisers as well as music connoisseurs, and lots of important choirs, from Scandinavia and Germany to U.S. colleges, have included St John's in their Baltic concert tours. 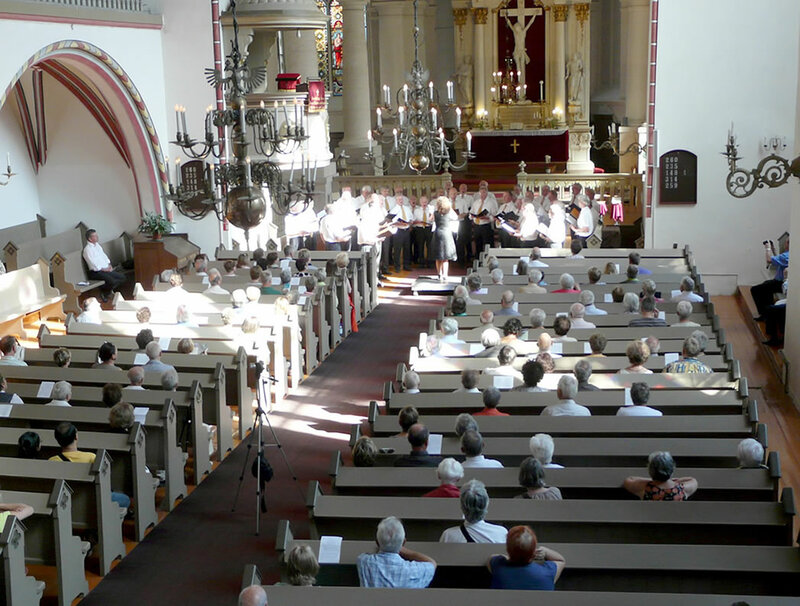 St John's was one of the concert venues chosen for Riga Choir Games 2014 hosting numerous choirs from the whole world. St John's Church in Riga is also known as Johanniskirche, the original name in German, and as Svētā Jāņa baznīca Rīgā in Latvian. The Church was been established as prayer chapel in the first masonry building in Riga, the Bishop's Palace. It was sooner a fortress than a palace spanning the whole current city quarter. Then bishop's offices soon outgrew the palace, as he was also the ruler of new-born frontier state Livonia. Leaving for grander palace and cathedral complex, the Riga Dom, the previous palace was donated to Dominican order. Dominican fathers built a large monastery by adding properties in current John's Yard and enlarging the church as well. During the Lutheran reforms it changed denomination and ended in hands of the first Riga Latvian Lutheran parish. Besides the Medieval church comple, we have large and peaceful country estate Bevuleni. Christian Center Bevuleni is fit for conventions, prayer days, seminaries and children camps - just 95 km from Riga. 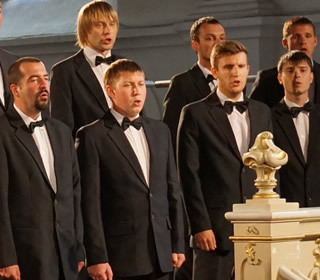 We welcome foreign choirs (as well as Latvian choirs) and musical groups on Baltic tournaments and concert tours for concerts in Saint John's church. We work with lots of fine concert organising agencies and tour operators. Welcome to the club! Call the Head of the parish Mr Blunavs (+371) 29632455 or write us an e-mail: gatis@mundustravels.com about details, costs, available times and services. If DMC services are needed, including ground services, transportation, full tour planning in Baltic states, incl. other concert venues, hotels and catering, we provide all this as licensed tour operator. Advertisment for your concerts can be produced, from printing and placement of flyers in Riga TIC and hotels to dedicated mailings to our mailing-lists and media releases. Church is open for visitors and tourists during the tourist season May - mid October daily, 10:00 to 18:00. Sundays: 14:00 to 18:00. Out of season: ad hoc. Church may be closed during choir repetitions, music recording sessions, baptism, weddings et caetera, so, if a tour group visit is planned, please ask us beforehands to be sure the visit goes uninterrupted. Tour group visits are accepted with regular donation (paid by guide) 20 EUR per group. The Church greeters will provide for receipts. Outside the season (mid-October to April) group visits are easily available by writing or calling us beforehands. Regular donation for such group visit is 30 EUR for the whole group. Concert as defined here is open for general public, free-of-charge for public. Donations if any are kept for restoration of the Church. In case of concerts with ticketing, festival organising and music recording please read the next entry! 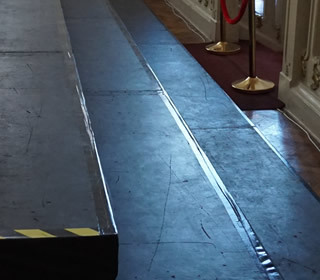 Rent of Church as concert space for choir or orchestra: for regular choir / orchestra group 245-290 EUR as regular donation or against invoice, depending on demand and day of the week. Participation with songs or musical accompaniment in our Prayer Services (Sunday morming, Wednesday eve) are welcome and always free! 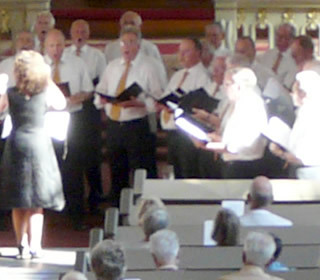 Nota Bene: when Prayer Services are conducted by visiting choir or pilgrim group for themselves, these are always free! concert spotlights on tripods - 2 units, 3 tripods for note sheets. new stationery lighting system is being installed, planned to be operational till mid-February. Rehearsal time in the same day - 1 to 1,5 hours - is included in price. copyright payment 40 EUR (it’s regardless on free or paid public entry, Latvian copyright agency AKKA/LAA collects it on behalf of authors). Prices are mentioned without V.A.T. This tax in Latvia amounts to 21%. concert spotlights on tripods - 3 units, 4 tripods for note sheets. in case of modern composers - Latvian copyright payment - approx. 40 EUR (local agency AKKA/LAA collects it from us). St Johns' Church in Riga is the oldest church in Riga and the best sounding one as well, a place of worship and one of the most popular Latvian musical venues. Choir size - from 10-12 participants to groups of 70-75. 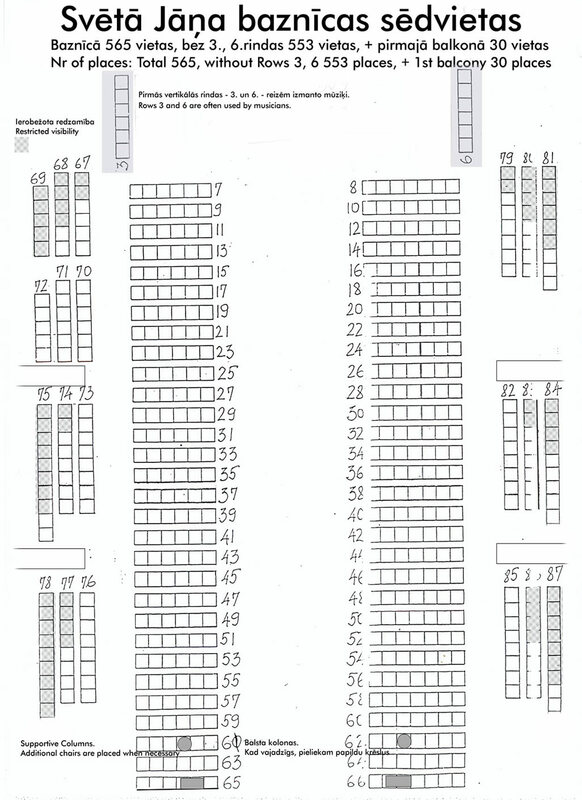 More than 50 - podiums requested, or choir is divided between balcony and church hall front part.